The Shirley Murphy is an easy hybrid that’s more of just a sticking pattern. The challenge lies in the fact that it’s based around bounce control, or the applied pressure and release of fulcrum pressure. The most important aspect of the mechanics is the accent at the beginning. This is a down stroke that is meant to be kept low after the initial hit so that you set your hands up for the next three tap strokes. 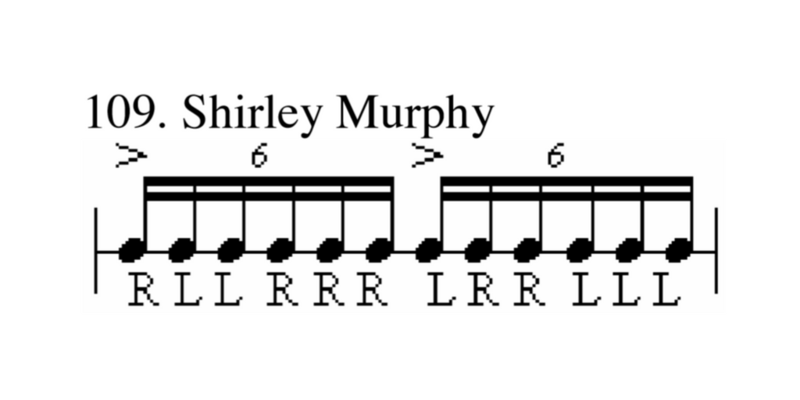 Remember to keep non accented notes low and when you play the triples and adjust the fulcrum pressure accordingly. Thanks Man! Hoping that it’s broken down to the most simplistic form for everyone to be able to learn.